Almost from the time that people added numbers, someone would have noticed a curious pattern … that 1 + 9 = 2 + 8 = 3 + 7 = 4 + 6. As one number grows, the other decreases by the same amount, so the total remains constant. 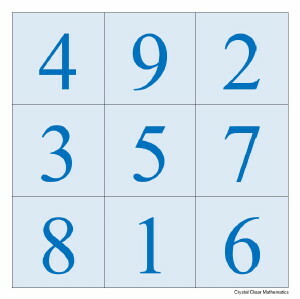 It would not have taken long before similar sums were drawn across each other, for example, 9 + 5 + 1 vertically and 3 + 5 + 7 horizontally, sharing the five (see the square to the right). 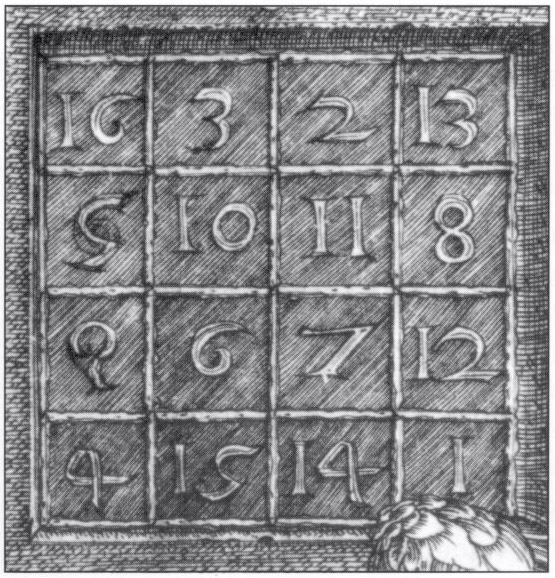 From this it would be a short step to a pattern with a fascinating property: a magic square, like the one at right, in which the totals of all columns and rows and both diagonals are the same. This page will explore these patterns and why they ‘work.’ We will examine different ways of designing such squares, and the surprising variety among those that exist. We will construct squares of increasing size and ask ourselves whether there is a limit to their size. 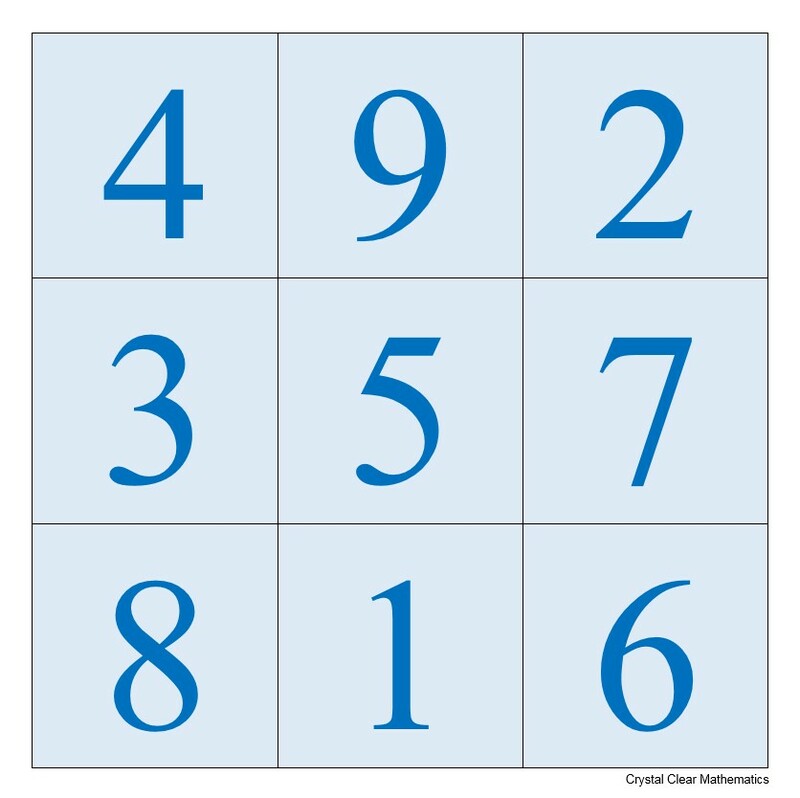 We will see squares that are built from prime numbers, others that look the same when rotated 180°, and magic squares with other strange properties. 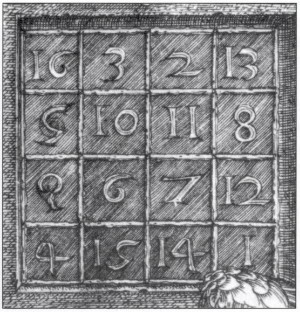 We will also learn some of the history of these fascinating squares and how Albrecht Dürer (1471-1528) managed to construct a magic square for his engraving, Melancholia, in which the middle numbers at the bottom give 1514, the year of the engraving!